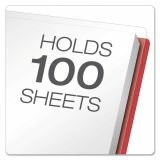 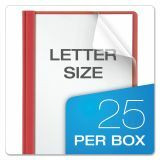 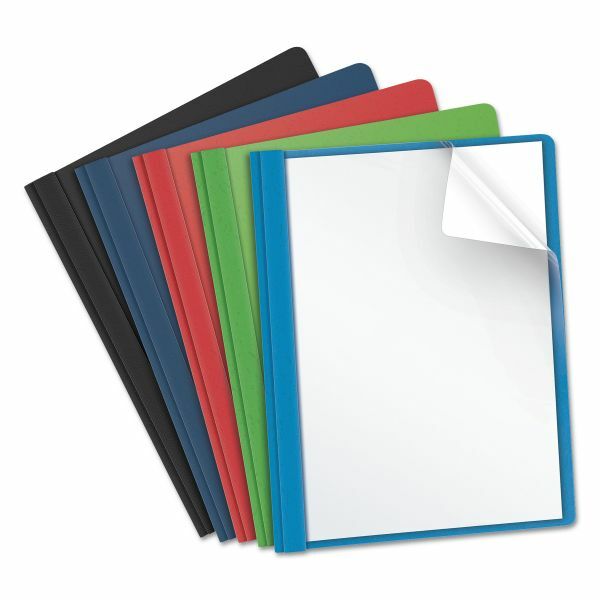 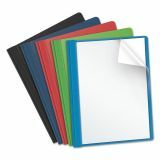 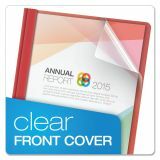 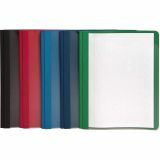 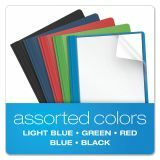 Oxford Clear Front Report Cover, 3 Fasteners, Letter, Assorted Colors, 25/Box - Clear, acetate front covers offer a full view of cover page. 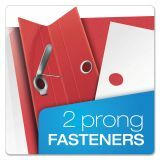 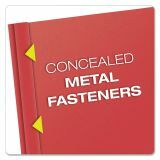 Three double-tang fasteners hold up to 100 sheets or 1/2 of three-hole punched, letter-size paper. 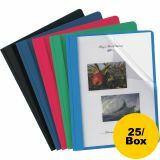 Back cover and spine are made of standard-grade, leatherette embossed stock."